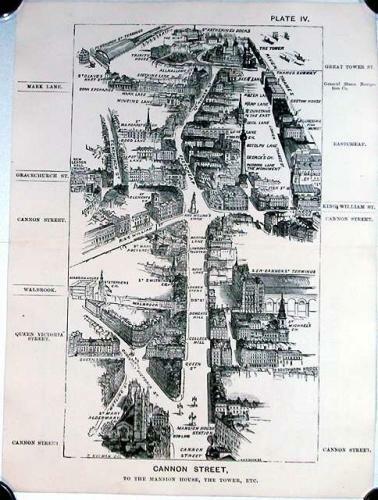 SOLD London in 1887, Plate IV, Cannon Street, to the Mansion House, the Tower, etc. A panoramic bird's eye view of Cannon Street and Eastcheap from Mansion House to The Tower. The buildings have been engraved in extraordinary detail. Scarce.